Summer is just around the corner and it will be blazing hot here in Texas before we know it. As all of us know, we Texans have one of the most extreme climates. It’s hot and sunny one day and freezing cold rain the next, and this type of weather can make for a difficult decision when choosing which annuals to plant in your yard this year. 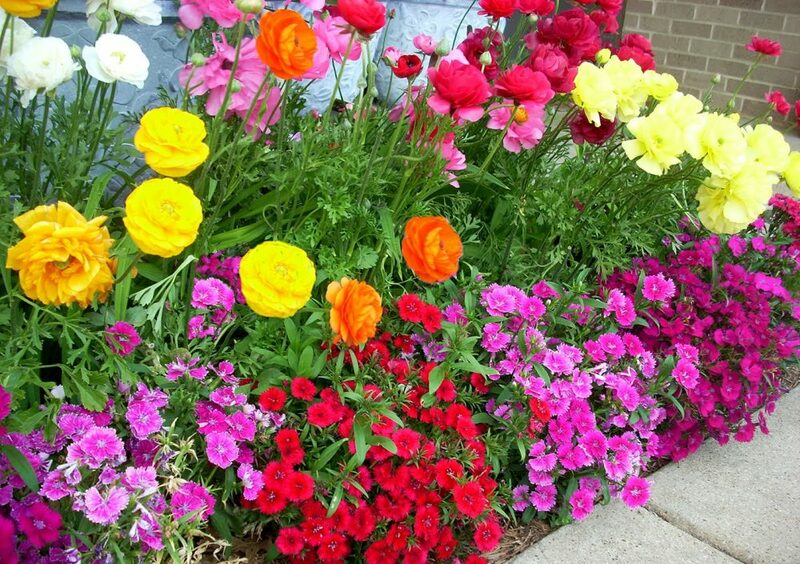 Annuals are plants that live for one growing season and then die, while perennials regrow every spring. An annual will sprout, flower, seed, and then die, all in the same year, but they also tend to bloom all season long, and are often bright and showy. Annuals are also usually cheaper than perennials, and are less of a commitment for your garden landscaping. 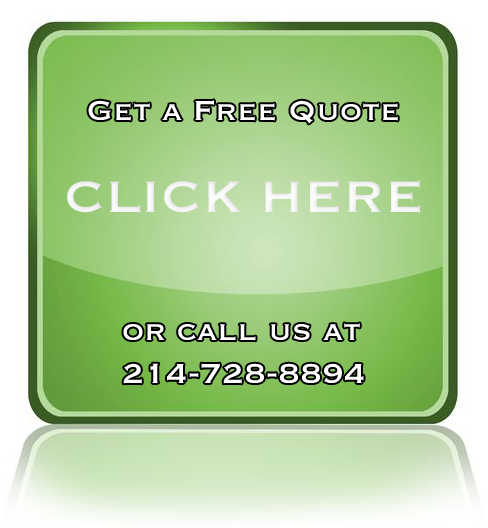 These can survive in sun or shade and are fairly easy maintenance. 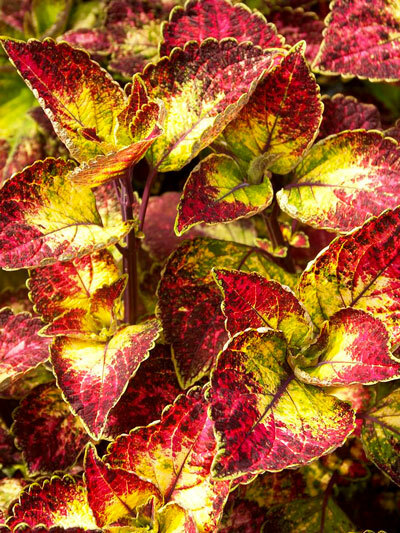 Coleus are large leaves of Raspberry-rose, frosted with jade and golden green tones. 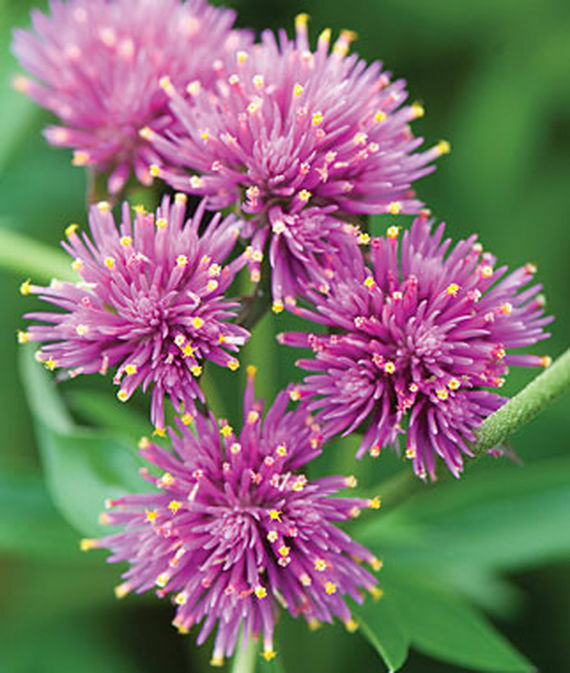 These are vigorous and fast growing plants that quickly reach 3 to 4 feet, with no blooms. 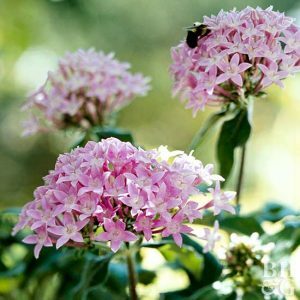 Pentas bloom all summer long, even during the hottest weather conditions, and are pretty low maintenance. The large clusters of starry blooms on pentas are the perfect resting place for butterflies, hummingbirds, and bees. This plant grows well both in the ground and in containers, and even makes a good houseplant if enough light is present. Blooms come in shades of white, pink, red, and lavender. Very heat tolerant and easy to grow; great for both sunny borders and containers. 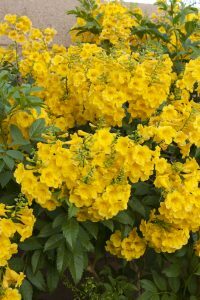 A fast-growing shrub valued for its large clusters of golden-yellow, bell-shaped flowers. Arching stems of dark green foliage form sprays of green and gold. Needs water regularly every week. Quickly reaches 6-7ft. tall and wide. 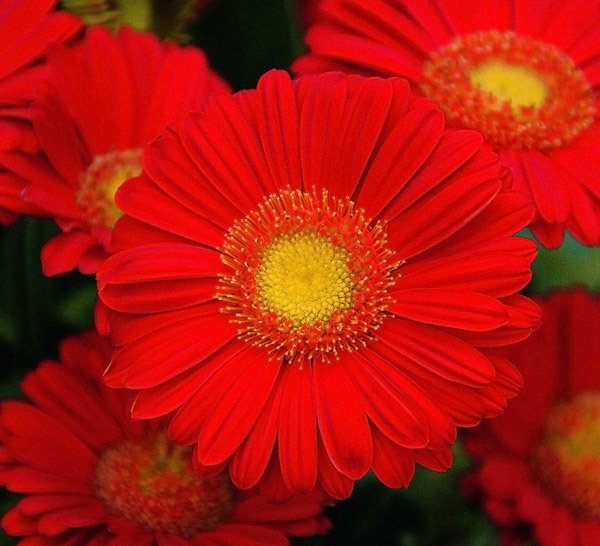 This Gerber daisy was bred to perform as a landscape plant in full sun. Dark green mounds of foliage sprouted 18″ tall spikes of classic Gerber flowers all summer long, right up to the first hard frost. It is available in 5 colors: Pink, white, buttermilk, orange, and carmine. Super heat tolerant and they don’t need much water. Gomphrena thrives in both heat and poor soil. The bright magenta-pink golf-ball sized flower heads wave in the breeze at the end of long stems. They grow quickly, reaching up to 3-4 ft. tall and 1-2 ft. wide. Some annuals thrive in cooler seasons of the year, while others need the summer heat to flourish. This is important to keep in mind during early spring, because the cool nights can cause the heat lovers to stop growing all together. The best time to plant is on a cloudy day or even in the evening because this gives the seedlings time to settle in before the scorching sun gives them their neighborly welcome to their new home.